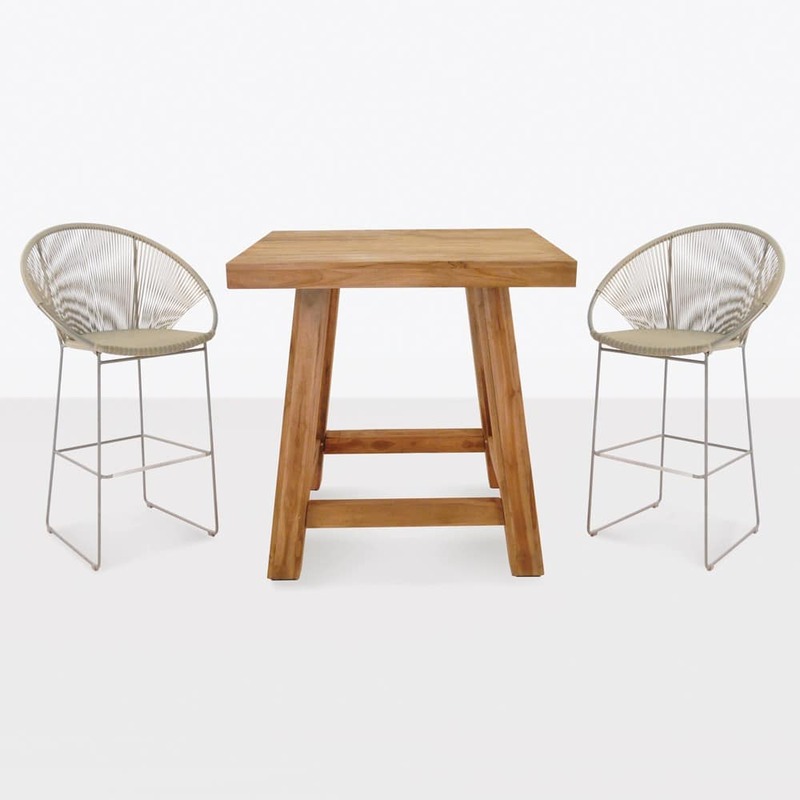 The Blok Table and Pietro Chair Bar Set will exceed all your expectations for bar furniture. The style is robust, sleek and fun. 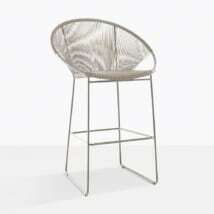 The mixture of materials and shapes is exciting and unlike most ordinary bar furniture. 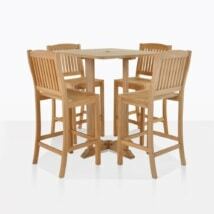 Seat four people comfortably around this table for a delicious meal, fabulous drinks and hours of great conversation. 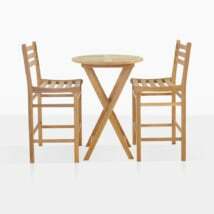 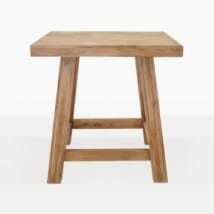 The Blok Bar Table is made with recycled teak. 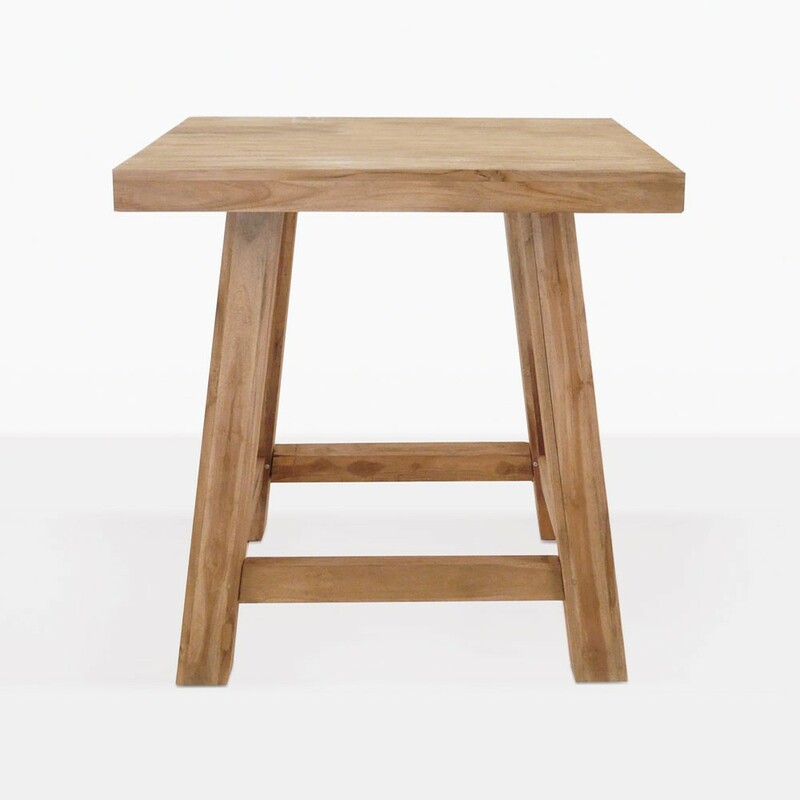 The thick chunky tabletop and legs are inviting, sophisticated, and durable. 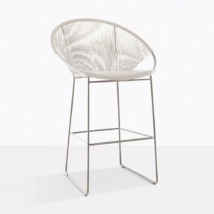 The Pietro Bar Stools are made with Ecolene® wicker and powder-coated aluminum. The modern shape of the chair adds the perfect amount of style to the more serious bar table. 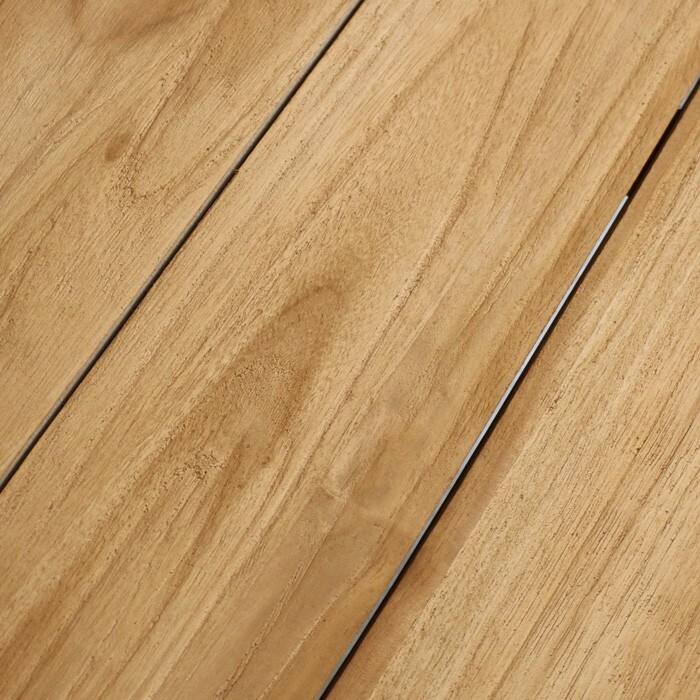 This bar set is made with care and inspected so that you only receive the highest quality product.